Soccer field debates such as grass versus turf remind us of other life long debates such as chocolate vs. vanilla, Ferrari vs. Lamborghini and of course Pacino vs. De Niro. No matter whom you ask about any of them, there are always people who side with one more than the other. When the turf versus grass debate comes up everybody has his or her two cents. “I like grass because it’s easier to slide tackle on and that’s what I grew up playing on”. Or “I prefer turf because of the true roll and it feels like a more controlled setting”. To be honest there is no right or wrong answer, people like one or the other for legitimate reasons and some heated debates are that way for a reason because both sides have something to offer. -	Burns on leg from sliding, fouls and tackles. 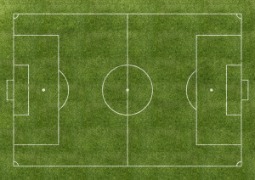 Are Most Professional Teams Fields Grass or Turf? In the modern game across Europe and South America most game pitches are still grass. In North America the fields are still grass dominant but turf fields are starting to emerge as well. Universities and high schools have installed several turf fields across the country because they are built to last. This has slowly filtered into the professional ranks but not completely as most still prefer grass. This is due to their easy maintenance and year round playability. Even pro teams have several turf fields as training pitches because of the season long beating a soccer field needs to withstand. This has proven to be something even the highest-level teams have done to cut the groundkeepers a little slack with maintenance. Is the Bounce of the Ball Different on Turf vs. Grass? Oddly enough the bounce of the ball on a turf surface versus grass can be quite different. Although turf is suppose to be the truer role it tends to have an unpredictable bounce off a ball coming down from high distances (long ball, goal kick, drop kick etc). If the ball is kept on the ground then turf tends be a flawless role as if you were playing on and indoor soccer field because essentially you are. Are Injuries More Common On a Turf or Grass Soccer Field? For whatever reason there tends to be more injuries on turf fields then grass ones. It could be the hard surface of the turf field because many of them sit on top of a layer of concrete. Joint and head related injuries seem to be the most common of injuries associated with the artificial field. Those (myself included) who constantly train on it day in and day out seem to feel like the wear and tear process catches up with you much sooner then on the softer, more forgiving grass pitch. Oh, and don’t forget about the turf burns you’re going to get if you leave your feet and slide to win a tackle. That’s more acceptable and you can let slide (no pun intended) but it doesn’t mean that burn won’t hurt when some water gets it in the shower. Are Pro Fields Bigger Than Amateur Fields? Generally every field at any competitive level is anywhere from 120 yards by 60 yards at the most. When watching a game on TV it seems like the field is twice the size of the one you play on and that the players have acres of space when they receive the ball and as much time as they like on the ball. The truth is there may be a field or two a bit bigger than what you play on but give or take a few yards the pitches are generally the same size. The way pro’s are able to keep the ball, move off of it and the amount of space they can cover in a blink of an eye gives the illusion that the field is bigger and the game is easier for them. How Many Fields Does A Pro Teams Training Complex Have? A professional club can have up to four or five training pitches including their match field which is generally a larger seating venue meant only for matches. These training fields can be turf or grass and not only does the first team train here but also all the youth teams of the club play their games and hold their training sessions here as well. Because of the beating and frequent use training pitches endure, more and more teams are making their training pitches of turf while keeping a grass soccer field for matches.